Jone's book, notice his cut off name. Philip K.Jone is a character in the 3D Universe who is mentioned in Grand Theft Auto: San Andreas. 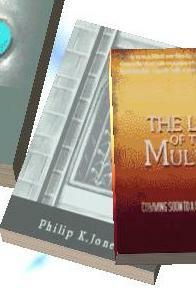 Philip K.Jone is an author with one of his books visible in many safehouses. His actual name is cut off from his book. However there is a great possibility that his name is Philip K.Jones. This page was last modified on 20 June 2014, at 17:43.